Tajikistan has set more conditions in order to ratify the already signed agreement on the Russian military base on its soil, according to a Russian daily. The republic’s authorities want Russia to allocate more means for the modernization of Tajikistan’s own military forces and also to guarantee additional investments into local hydropower systems, Kommersant business daily reported on Tuesday, quoting an unnamed source in the Russian Defense Ministry. The source said that the new conditions surfaced during last week’s visit to Tajikistan by Russia’s Chief of General Staff Valery Gerasimov. 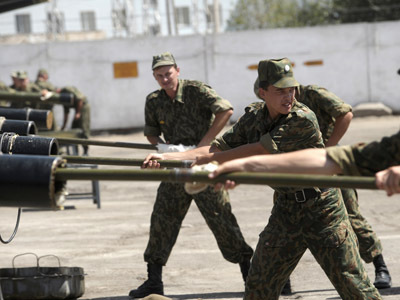 Moscow insists that Tajikistan ratifies the military base agreement as fast as possible, preferably within one month. Tajikistan’s Chief of General Staff and First Deputy Defense Minister Ramil Nadyrov assured the Russian side that “there were no doubts concerning the terms of realization of the documents,” but gave no particular dates, the newspaper claims. The two countries signed the agreement on the placement of Russia’s military base on Tajikistan’s territory in October 2012 during Vladimir Putin’s official visit to Dushanbe. If ratified by Tajikistan, the new agreement will replace the previous one that expires in October 2014 and will remain in force until 2042, with a possible five-year prolongation after this date. 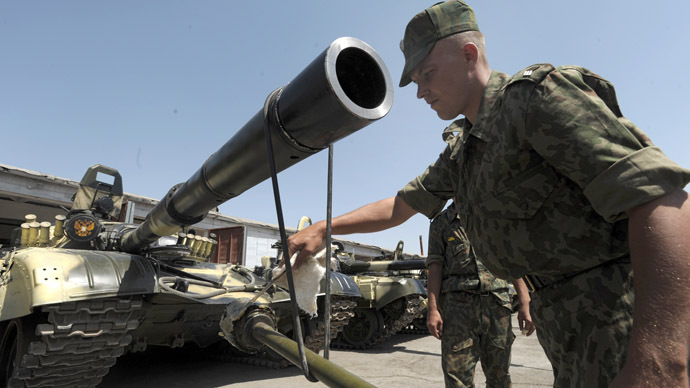 Russia will not pay monetary rent for the base, but it agreed to help Tajikistan to modernize its military forces and supply it with US$200-million worth of modern weapons and hardware. Additionally, Russia allocated $5 million to Tajikistan’s national drug enforcement agency. 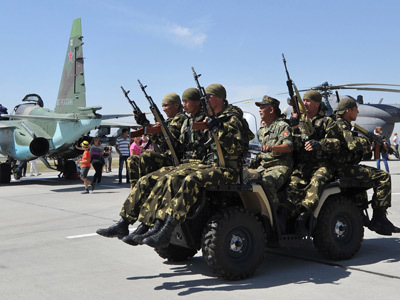 The 7000-strong 201st military base is Russia’s largest military contingent in Central Asia. The name of the base comes from the 201st infantry division stationed in Tajikistan from the Soviet Times and converted into the military base by merging it with additional forces and services. The base’s facilities are spread between three locations, including Tajikistan’s capital, Dushanbe. Since its formation the 201st base was both protecting the interests of the Russian Federation in the region, mostly through preventing the drug trafficking and the spread of religious and political extremism from neighboring Afghanistan, and adding to the stability in Tajikistan. However, Tajikistan has managed to get additional concessions as the talks about the placement of the base renewed. In particular, Russia agreed to soften the rules of temporary immigration for Tajik citizens and to cancel customs duties on petrol products supplied to the country. As the Russian side has already fulfilled all these demands it expects cooperation from Tajikistan and has no intention of tolerating any blackmail, said Kommersant’s sources in the intergovernmental commission. The sources resolutely stated that even though Russia was ready to hold additional cooperation talks with Tajikistan, these talks would not be tied in any way with the base agreement. 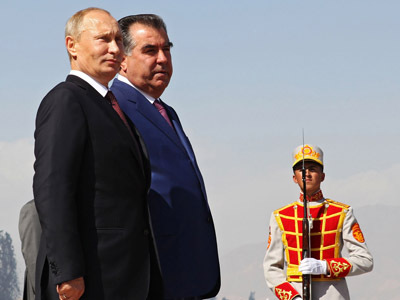 Russia itself has not ratified the military base agreement with Tajikistan, but President Vladimir Putin already forwarded the document to the parliament for ratification, according to the Tuesday report by the state website of legal information.